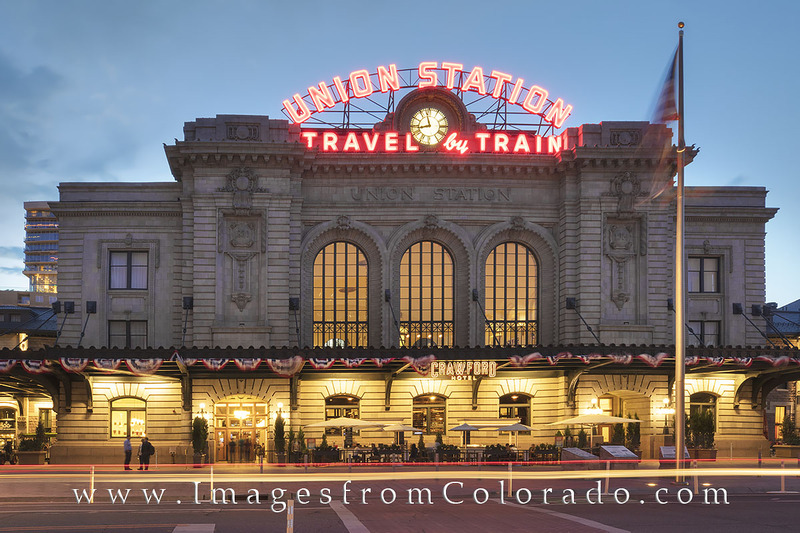 Built to serve the new Denver Pacific Railway, Union Station originally opened on June 1, 1881. Unfortunately, it burned down three years later. The train station was rebuilt and ready to serve again in 1914. Nearly 100 years later, in 2012, the train station underwent major renovations and restorations, opening for business in 2014 as a multi-use facility that included the 112 Crawford Hotel, several upscale restaurants and shops, and a train station that serves Amtrak, among others. Photo © copyright by Rob Greebon.